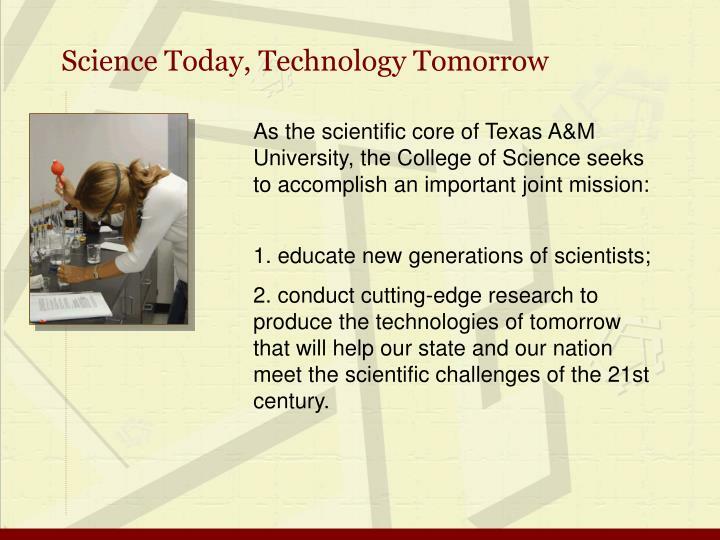 conduct cutting-edge research to produce the technologies of tomorrow that will help our state and our nation meet the scientific challenges of the 21st century. 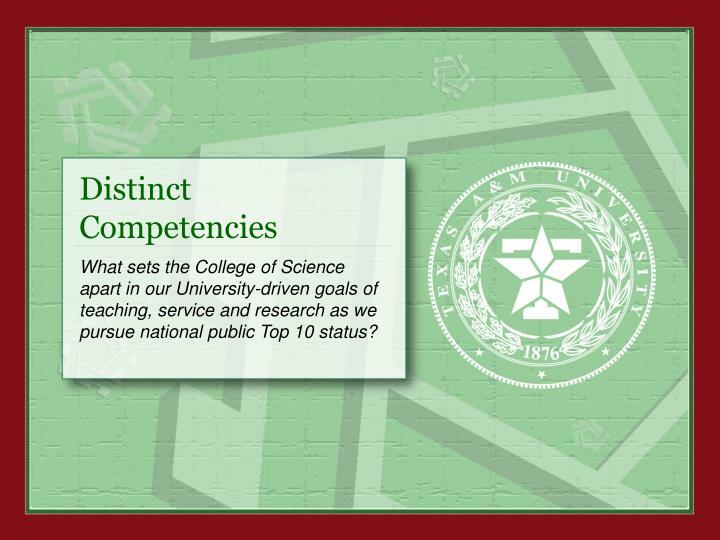 What sets the College of Science apart in our University-driven goals of teaching, service and research as we pursue national public Top 10 status? 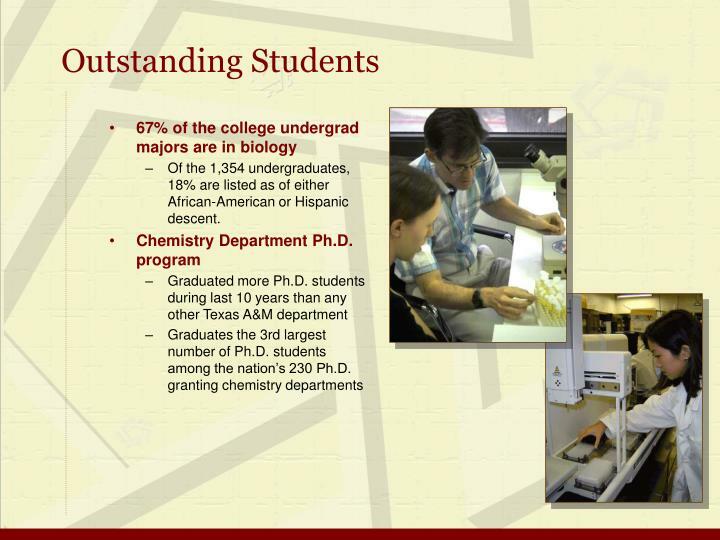 Historically, the Department of Biology has placed more of its majors in medical and dental schools than any other A&M department. 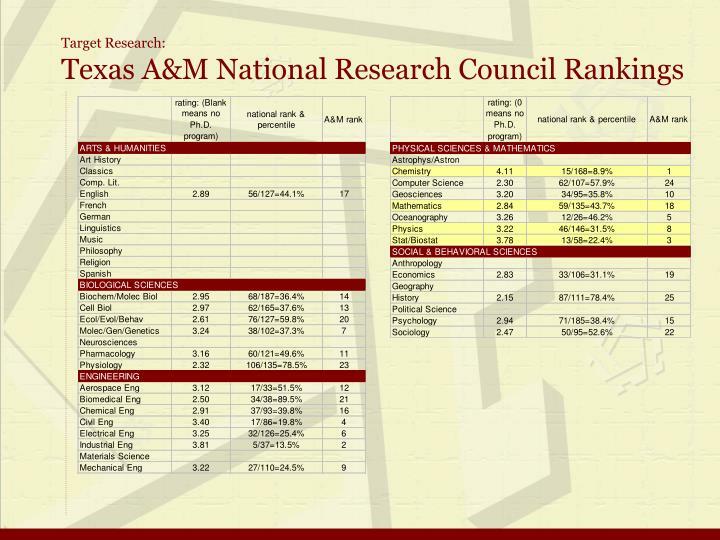 The Department of Chemistry is ranked 15th by the National Research Council and has the 6th-ranked inorganic program in the U.S. News & World Report. 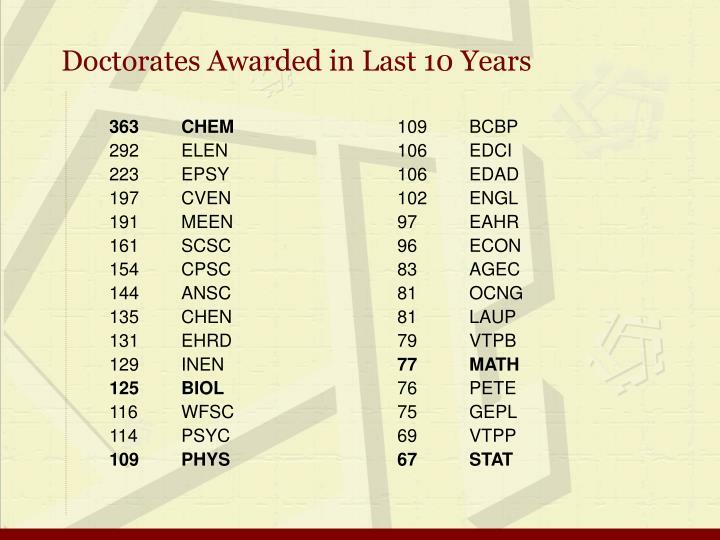 Two-thirds of our Mathematics faculty have grants from the National Science Foundation, despite the fact that the Department maintains one of the highest teaching loads at Texas A&M. 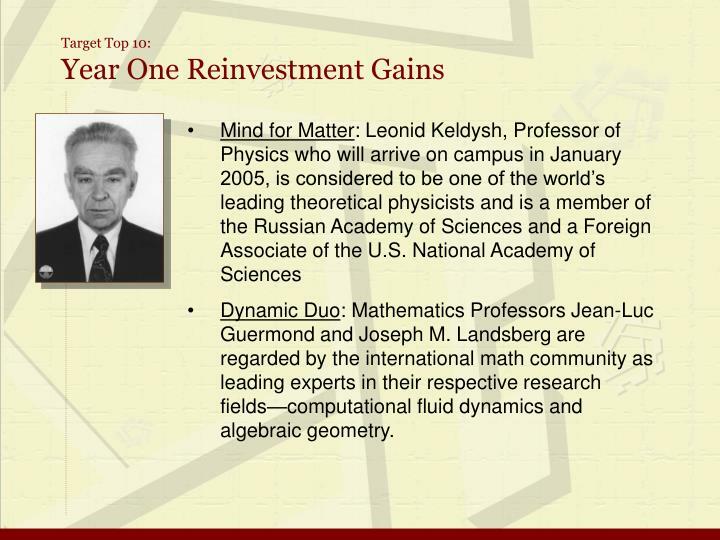 Physics recently obtained funds for and awarded two new endowed $1,000,000 chairs (total number is now eight). 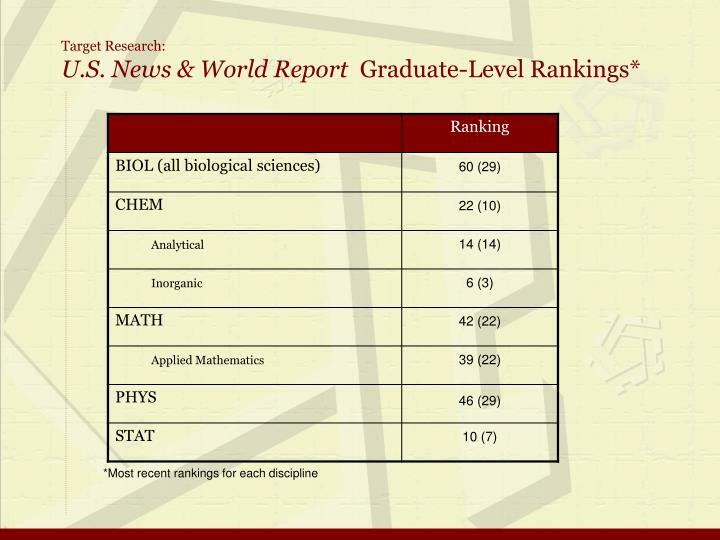 Statistics is ranked 10th of 65 in mathematical sciences in the most recent U.S. News & World Report. 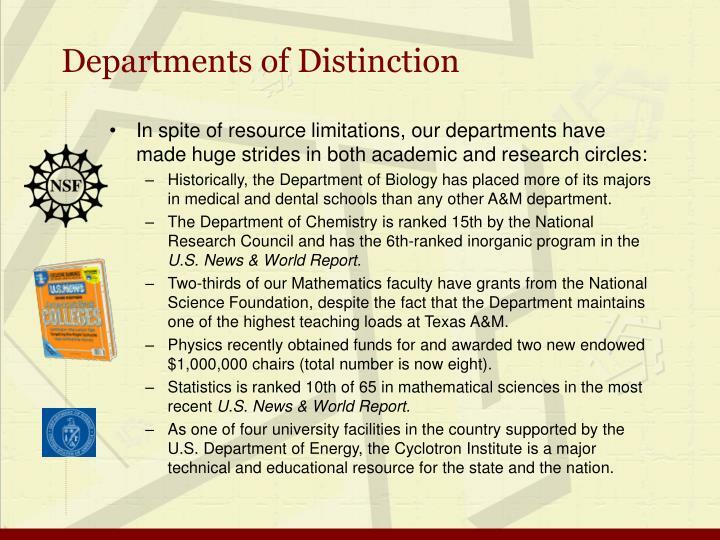 As one of four university facilities in the country supported by the U.S. Department of Energy, the Cyclotron Institute is a major technical and educational resource for the state and the nation. 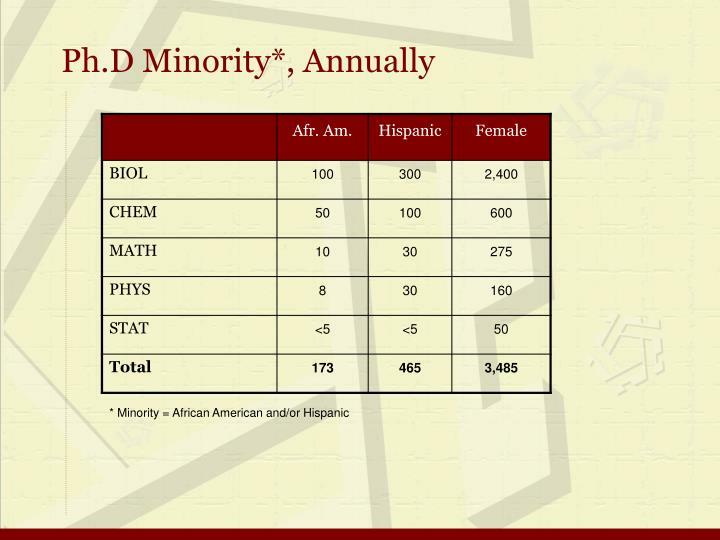 Of the 1,354 undergraduates, 18% are listed as of either African-American or Hispanic descent. 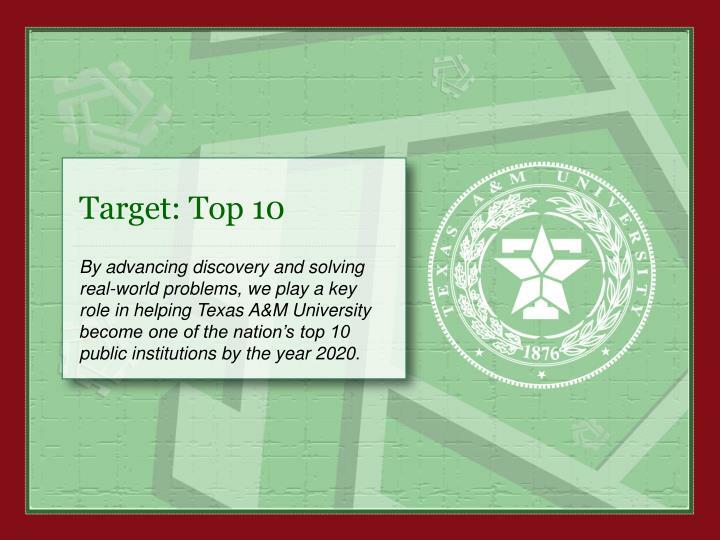 By advancing discovery and solving real-world problems, we play a key role in helping Texas A&M University become one of the nation’s top 10 public institutions by the year 2020. 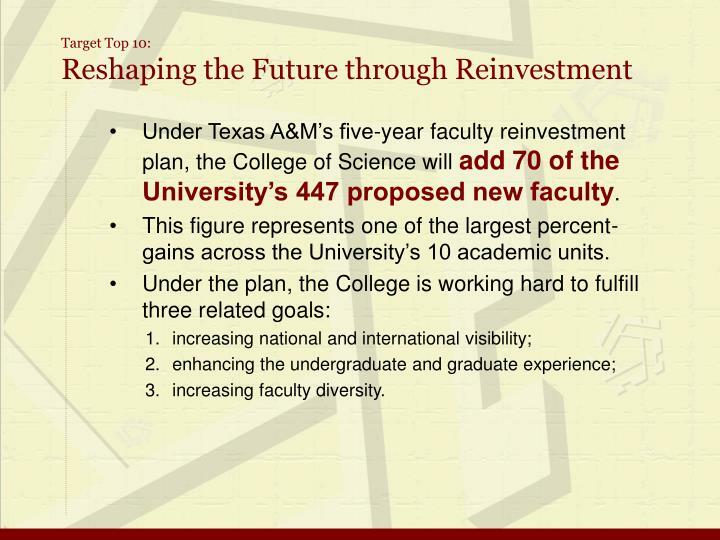 Under Texas A&M’s five-year faculty reinvestment plan, the College of Science will add 70 of the University’s 447 proposed new faculty. 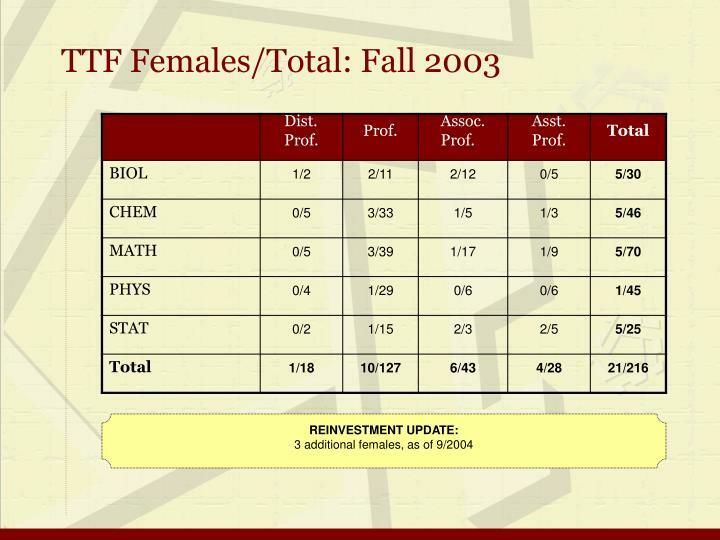 This figure represents one of the largest percent-gains across the University’s 10 academic units. 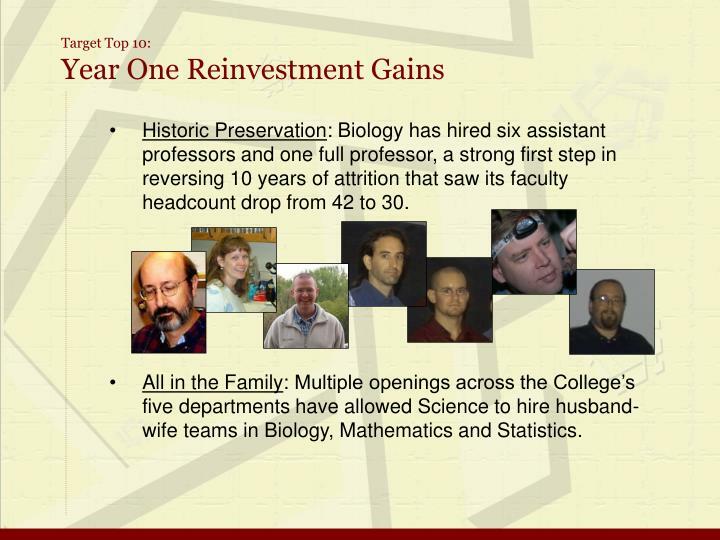 Historic Preservation:Biology has hired six assistant professors and one full professor, a strong first step in reversing 10 years of attrition that saw its faculty headcount drop from 42 to 30. All in the Family:Multiple openings across the College’s five departments have allowed Science to hire husband-wife teams in Biology, Mathematics and Statistics. Dynamic Duo: Mathematics Professors Jean-Luc Guermond and Joseph M. Landsberg are regarded by the international math community as leading experts in their respective research fields—computational fluid dynamics and algebraic geometry. 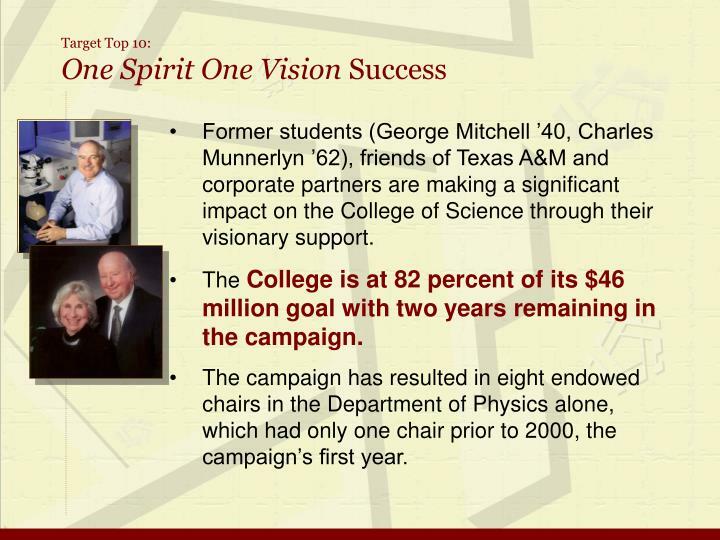 Former students (George Mitchell ’40, Charles Munnerlyn ’62), friends of Texas A&M and corporate partners are making a significant impact on the College of Science through their visionary support. 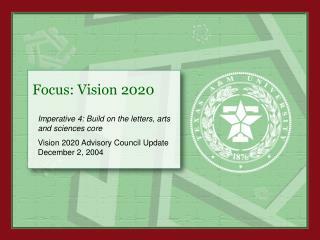 The College is at 82 percent of its $46 million goal with two years remaining in the campaign. 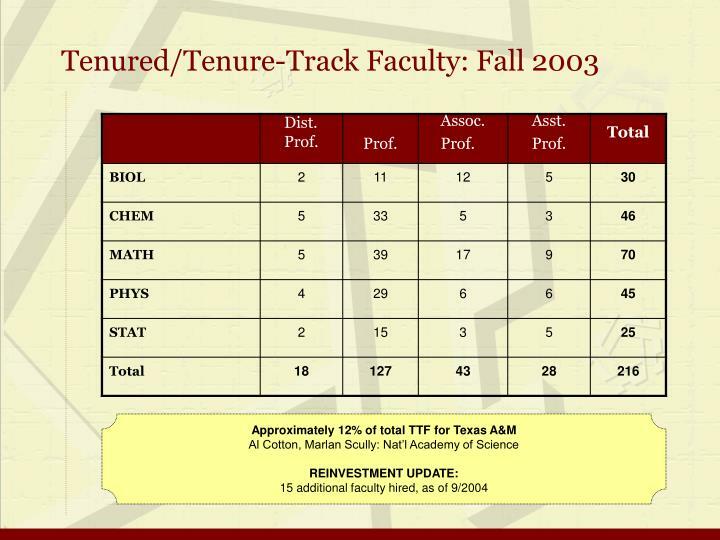 The campaign has resulted in eight endowed chairs in the Department of Physics alone, which had only one chair prior to 2000, the campaign’s first year. 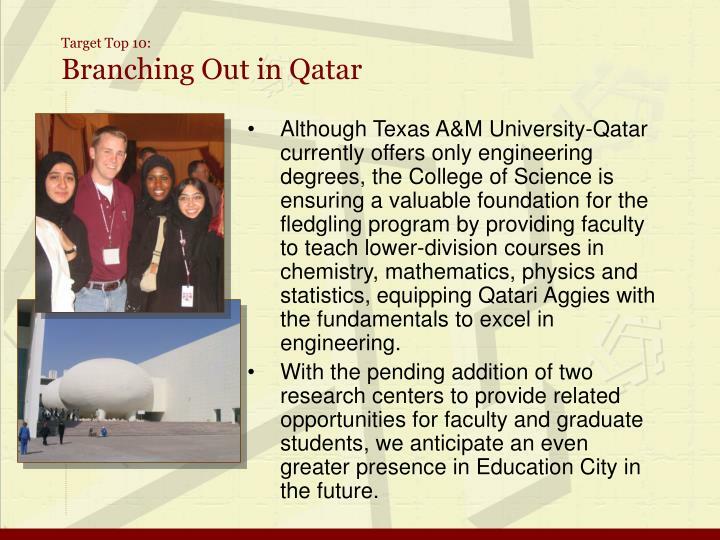 Although Texas A&M University-Qatar currently offers only engineering degrees, the College of Science is ensuring a valuable foundation for the fledgling program by providing faculty to teach lower-division courses in chemistry, mathematics, physics and statistics, equipping Qatari Aggies with the fundamentals to excel in engineering. With the pending addition of two research centers to provide related opportunities for faculty and graduate students, we anticipate an even greater presence in Education City in the future. The College is national leader in Ph.D. production in minorities and females despite faculty limitations in these areas. 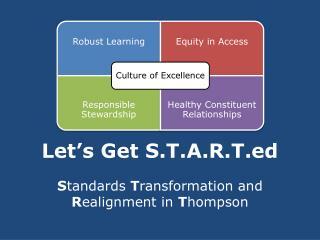 Three of its five departments have been recognized with diversity awards. 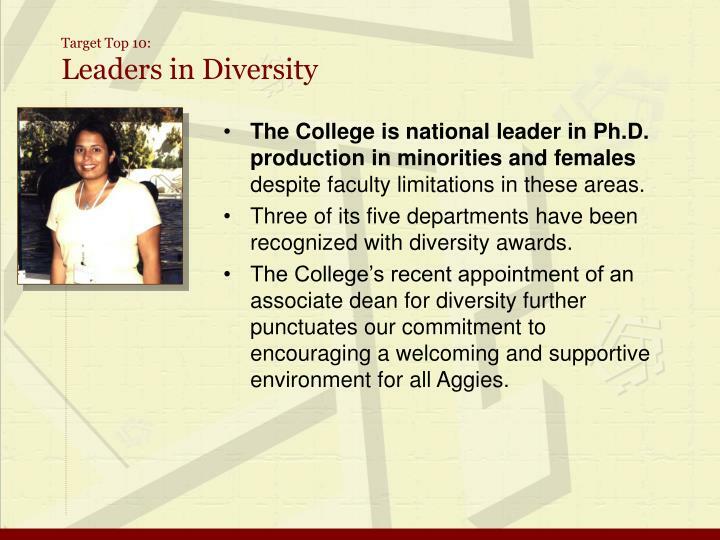 The College’s recent appointment of an associate dean for diversity further punctuates our commitment to encouraging a welcoming and supportive environment for all Aggies. Our students interact with outstanding classroom educators and world renowned researchers—on campus and across the globe. 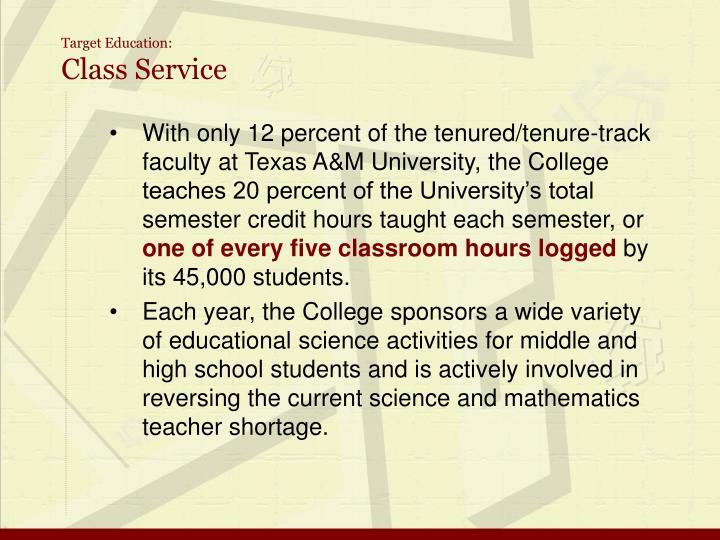 With only 12 percent of the tenured/tenure-track faculty at Texas A&M University, the College teaches 20 percent of the University’s total semester credit hours taught each semester, or one of every five classroom hours logged by its 45,000 students. Each year, the College sponsors a wide variety of educational science activities for middle and high school students and is actively involved in reversing the current science and mathematics teacher shortage. 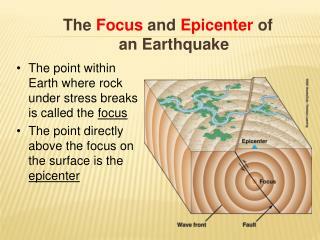 The Information Technology in Science (ITS) Center for Teaching and Learning, funded by a five-year, $10 million National Science Foundation grant, is an interdisciplinary graduate program that seeks to replenish the nation's supply of science and mathematics education specialists through team-led, learner-centered opportunities involving scientists, mathematicians, education researchers and education practitioners. 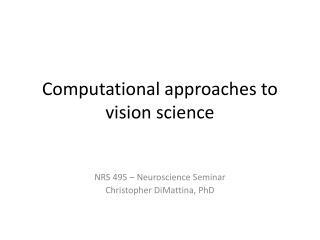 Through another five-year, $1.25 million NSF grant, the Departments of Biology, Mathematics, and Statistics are teaming up to develop integrated undergraduate curricula that will train biology and applied mathematics students to speak similar languages about the natural world. The College also offers the nation’s only 100 percent online master’s degree in mathematics. The 36-credit-hour program has grown to 67 graduate students and 31 non-degree-seeking students. 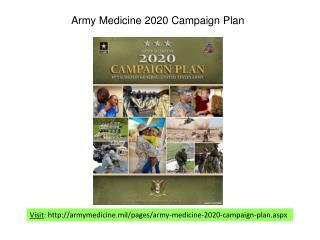 Unlike most science programs nationwide, our undergraduates are exposed to challenging research opportunities designed to enhance the academic experience and provide beneficial practical skills to better prepare them for advanced studies or careers in science. As seniors, many are mentored by faculty researchers in Undergraduate Research Fellows program—paid positions with some projects. 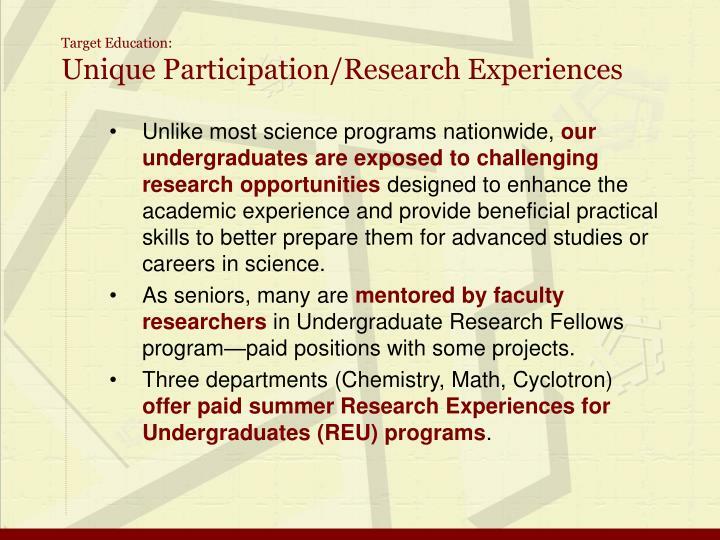 Three departments (Chemistry, Math, Cyclotron) offer paid summer Research Experiences for Undergraduates (REU) programs. 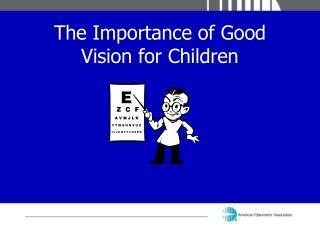 A fundamental approach to solving today's complex problems is the foundation of our discoveries and research to benefit mankind. 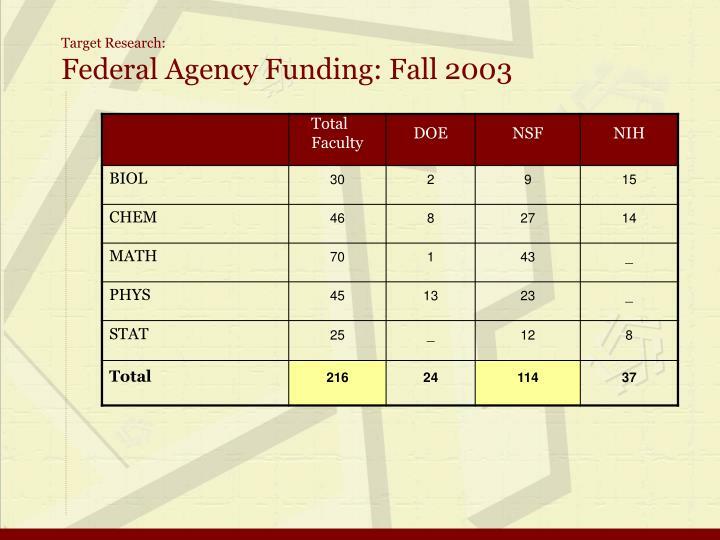 The College of Science's five departments and their associated centers and institutes total peer-reviewed federal funding for 2002 was $24,230,875 and rose to an all time high of $29,125,706 during calendar 2003. Chemistry is ranked the 7th largest total in research and development expenditures among all chemistry departments in the U.S. 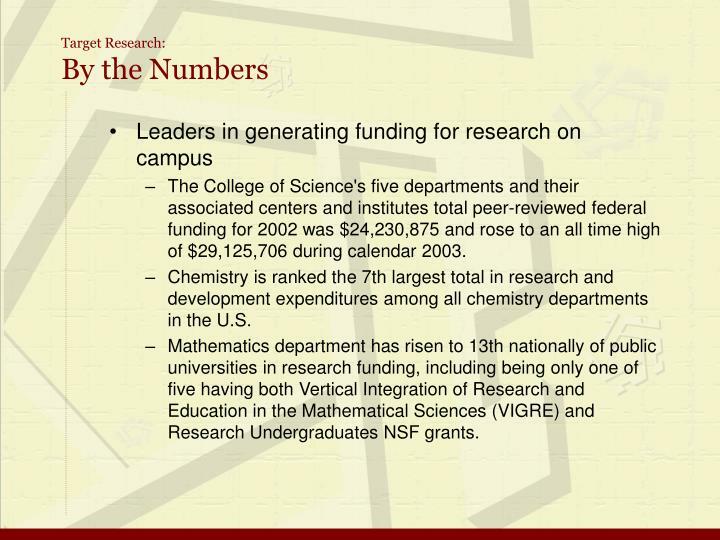 Mathematics department has risen to 13th nationally of public universities in research funding, including being only one of five having both Vertical Integration of Research and Education in the Mathematical Sciences (VIGRE) and Research Undergraduates NSF grants. Biology: Five-year, $5 million National Institutes of Health grant to examine biological clocks in organisms ranging from bacteria to mammals; results should help understand sleep, mood disorders. 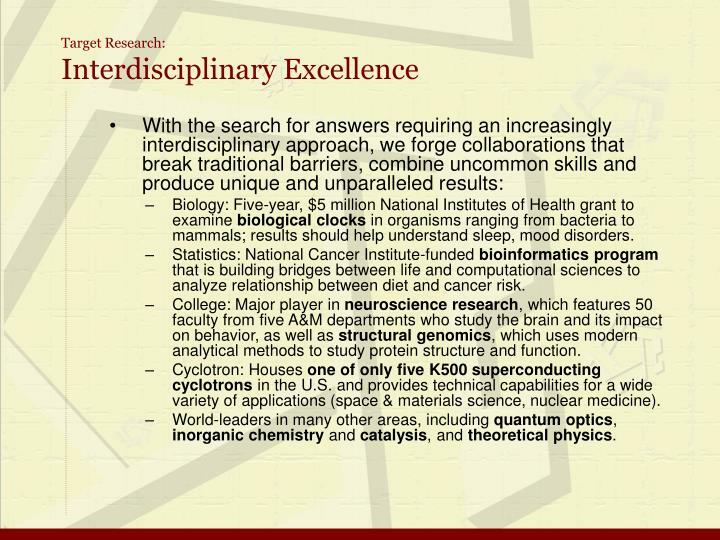 Statistics: National Cancer Institute-funded bioinformatics program that is building bridges between life and computational sciences to analyze relationship between diet and cancer risk. 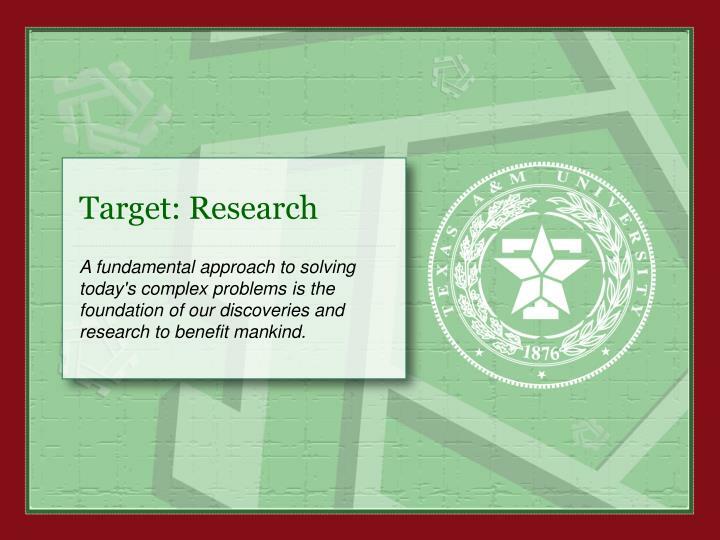 College: Major player in neuroscience research, which features 50 faculty from five A&M departments who study the brain and its impact on behavior, as well as structural genomics, which uses modern analytical methods to study protein structure and function. Cyclotron: Houses one of only five K500 superconducting cyclotrons in the U.S. and provides technical capabilities for a wide variety of applications (space & materials science, nuclear medicine). 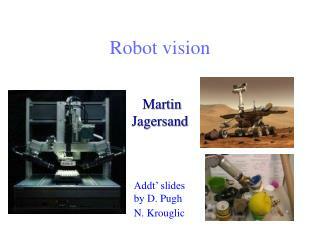 World-leaders in many other areas, including quantum optics, inorganic chemistry and catalysis, and theoretical physics. 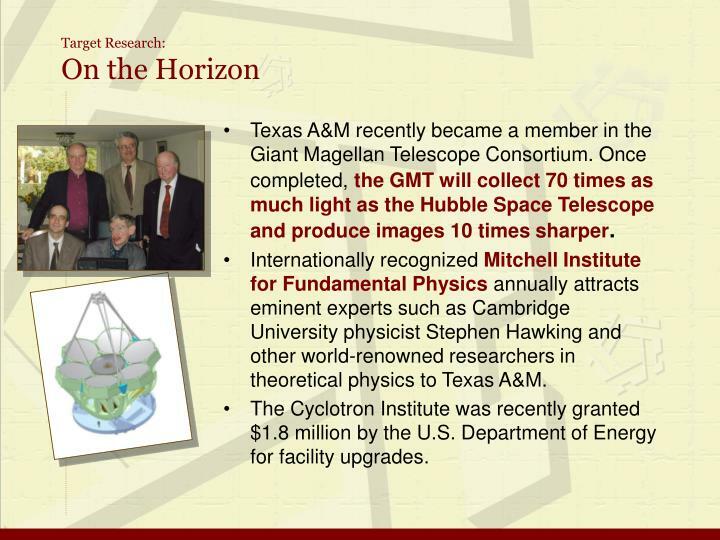 Texas A&M recently became a member in the Giant Magellan Telescope Consortium. 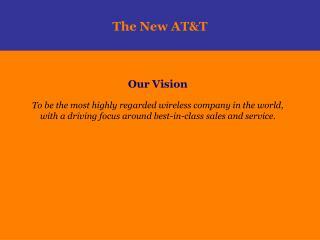 Once completed,the GMT will collect 70 times as much light as the Hubble Space Telescope and produce images 10 times sharper. 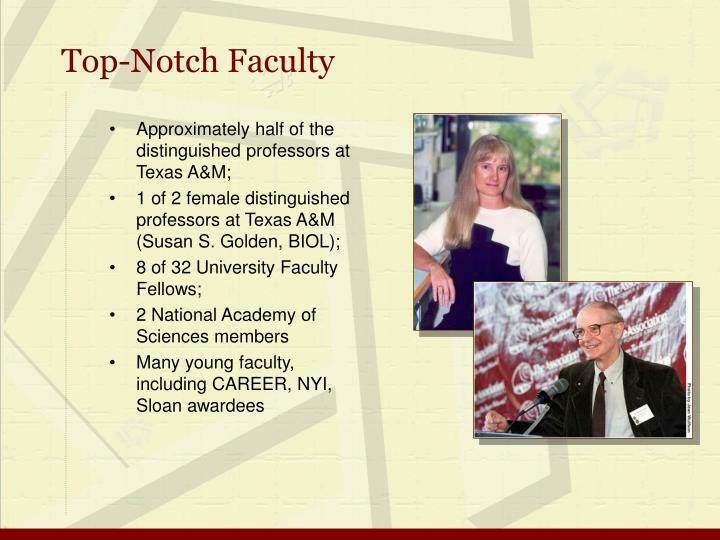 Internationally recognized Mitchell Institute for Fundamental Physics annually attracts eminent experts such as Cambridge University physicist Stephen Hawking and other world-renowned researchers in theoretical physics to Texas A&M. 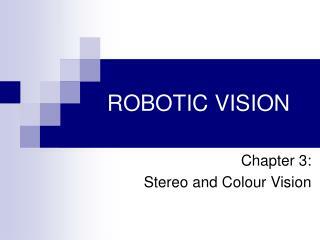 The Cyclotron Institute was recently granted $1.8 million by the U.S. Department of Energy for facility upgrades. To us, introducing the world to science, its careers and contributions to daily life is higher education in its truest sense. 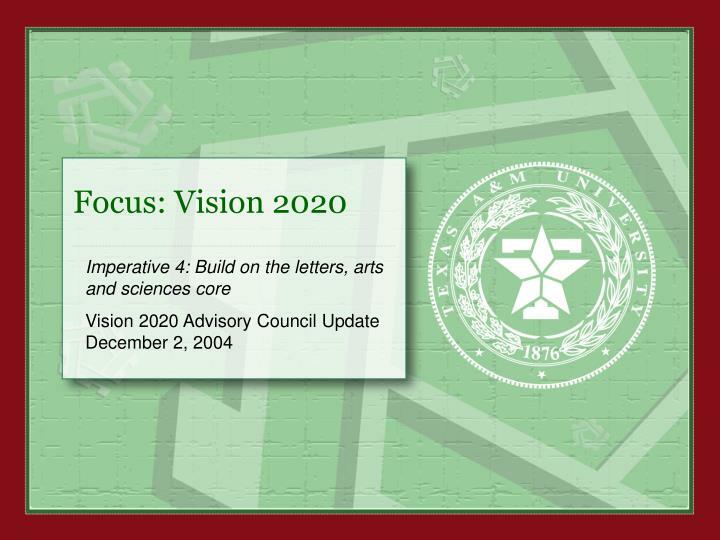 As one of the state’s most prominent scientific educational resources, the College is also one of the leading proponents of public education reform in Texas and across the nation. 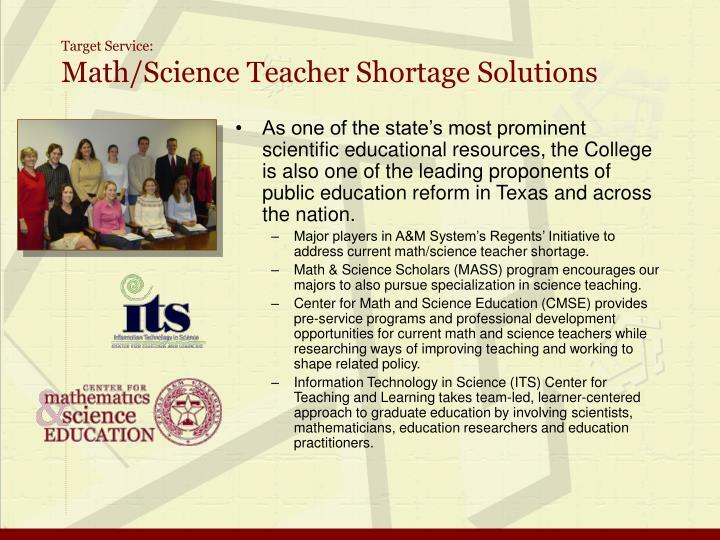 Major players in A&M System’s Regents’ Initiative to address current math/science teacher shortage. Math & Science Scholars (MASS) program encourages our majors to also pursue specialization in science teaching. 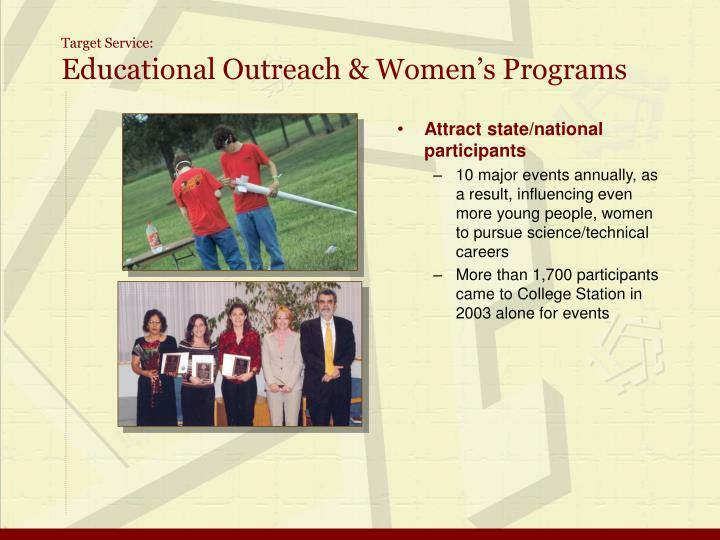 Center for Math and Science Education (CMSE) provides pre-service programs and professional development opportunities for current math and science teachers while researching ways of improving teaching and working to shape related policy. 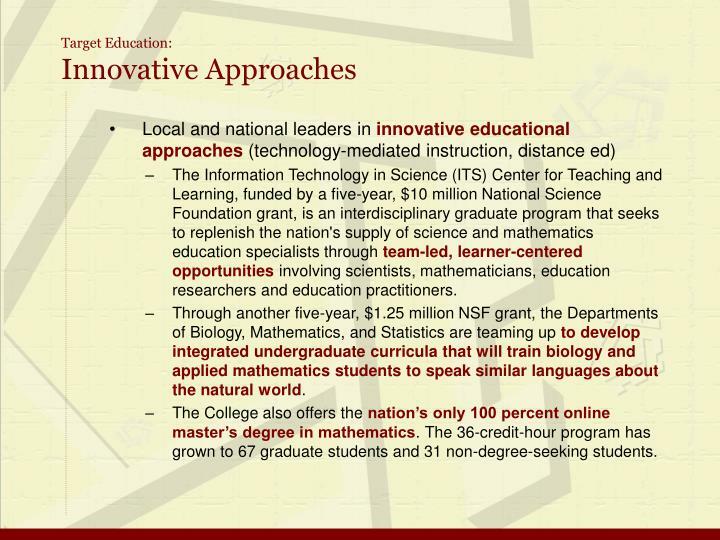 Information Technology in Science (ITS) Center for Teaching and Learning takes team-led, learner-centered approach to graduate education by involving scientists, mathematicians, education researchers and education practitioners. 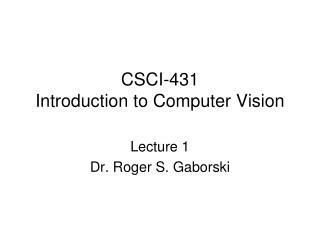 CS Vision 수립과 개선과제 도출 -S 기술주식회사의. 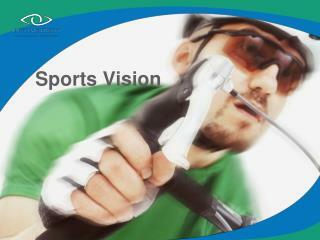 cs vision 수립과 개선과제 도출. 간부 workshop 진행 시간표. 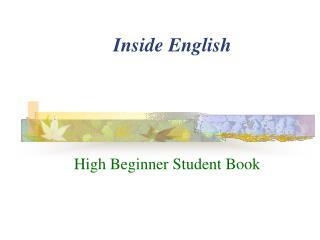 팀구성. 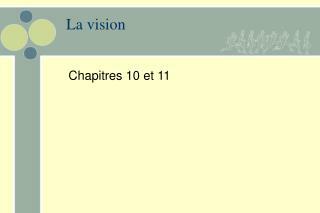 vision 의 확립. 고객. 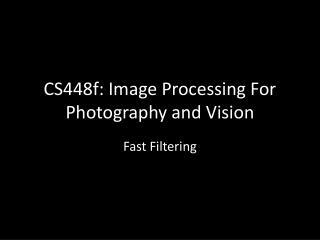 경쟁사. 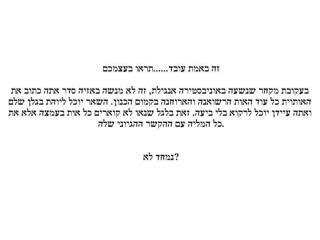 자사. 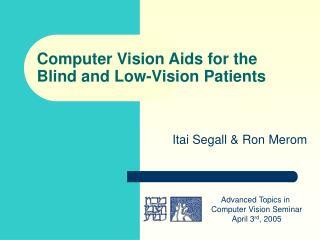 사업환경 trend 규제. 고객.